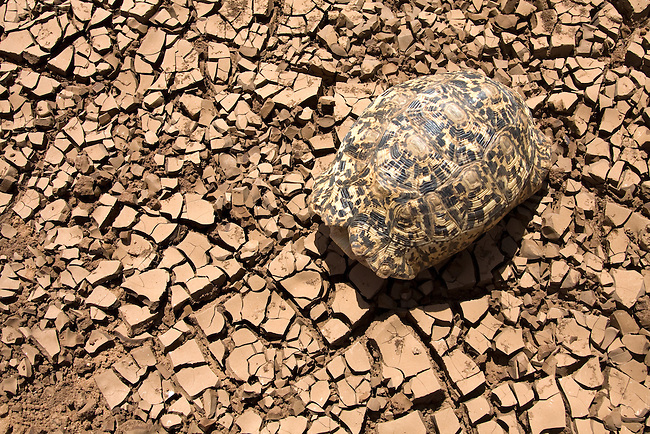 Leopard tortoise (Geochelone pardalis) seeks the only shade it can find, its shell, in the heat of the day on the dry riverbed of the Ewaso Nyiro. Kenya.... The worst drought (2008-2009) in more than a decade has killed most domestic livestock and many wild animals in northern Kenya.